The oldest tombs date back to around 2750 B.C. during the period of Egypt's first and second dynasties, the council said in a statement. Twelve of the tombs belong the 18th dynasty which ruled Egypt during the second millennium B.C. The discovery throws new light on Egypt's ancient religions, the council said. Egypt's archaeology chief, Zahi Hawass, said the mummies dating to the 18th dynasty are covered in linen decorated with religious texts from the Book of the Dead and scenes featuring ancient Egyptian deities. Abdel Rahman El-Aydi, head of the archaeological mission that made the discovery, said some of the tombs are decorated with religious texts that ancient Egyptians believed would help the deceased to cross through the underworld. El-Aydi said one of the oldest tombs is almost completely intact, with all of its funerary equipment and a wooden sarcophagus containing a mummy wrapped in linen. In 31 tombs dating to around 2030-1840 B.C, archeologists discovered scenes of different ancient Egyptian deities, such as the falcon-headed Horus, Hathor, Khnum and Amun, decorating some of the tombs. The council said the findings were unearthed at Lahoun, in Fayoum, some 70 miles (100 kilometers) south of Cairo. 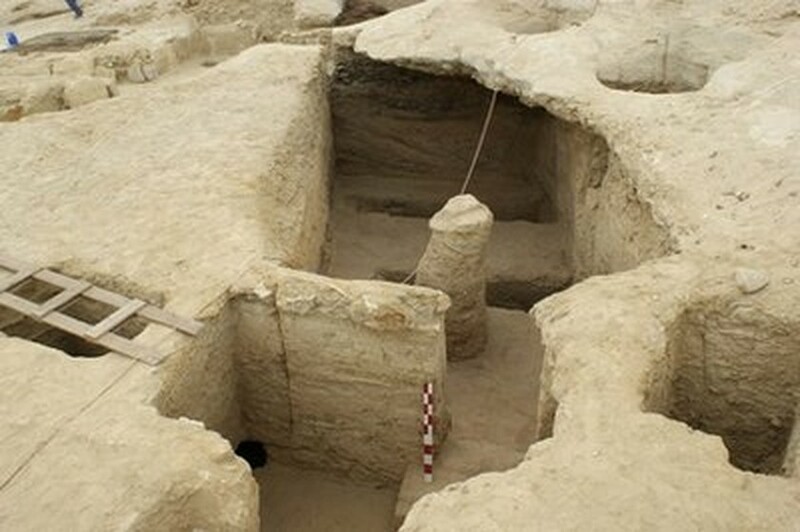 Last year, some 53 stone tombs dating back to various ancient periods were found in the area.